All weekend I've had the urge to bake. Now I'm going to lay the blame on Ayden, who posted pictures of her amazing looking cupcakes earlier in the week! But before I show you my cake, a quickie outfit post, because it's relevant! And now for the baking. The cakes have come out really well. 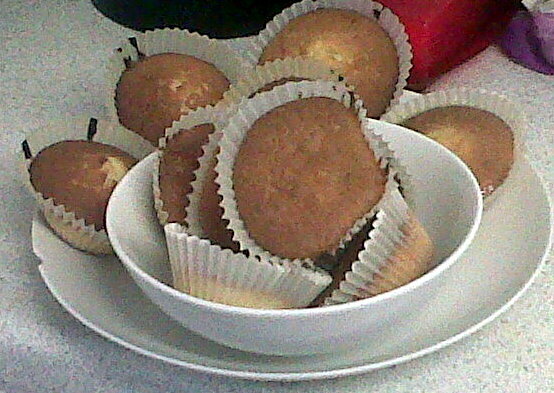 My friend and I made some basic fairy cakes and some ginger ones. 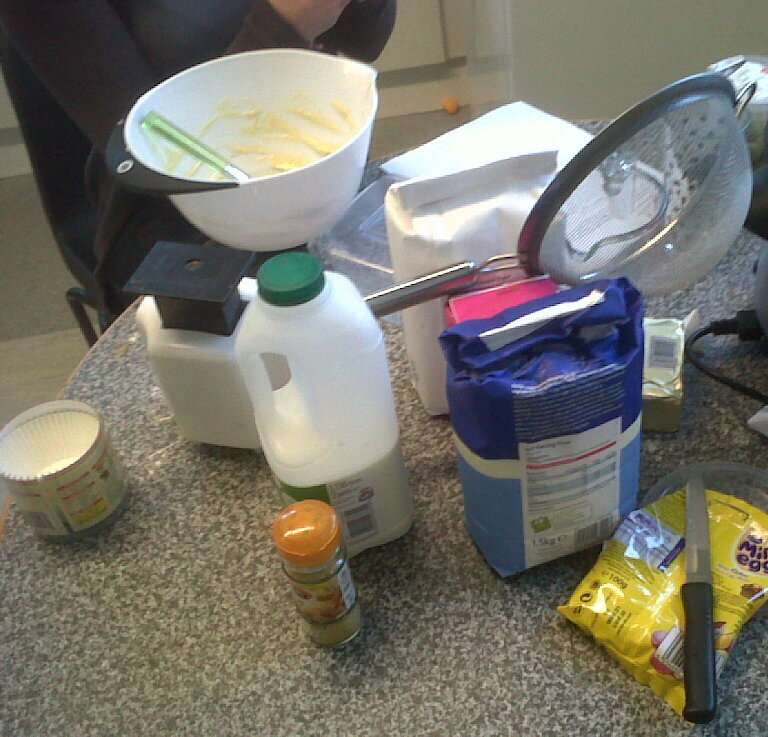 We also attempted to make some orange flavoured butter icing. That didn't go so well, so for now the cakes remain un-iced- not that anybody seems to care! Preparation. I may have gone a little overboard having bought 1.5kg of flour so I foresee more baking this weekend! I'm still debating going to buy some for the "Cupcake Topper" they sell in our local supermarket. We saw it when purchasing ingredients yesterday and decided we'd make our own (oops!). If nothing else, they look a bit sad without some kind of decoration. I know lots of people are baking at the moment, so if you've got any tips for icing or any fab (but simple, MUST be simple) cake recipes you want to share, all contributions welcome. Chloe, I could kiss you. You called them fairy cakes!! I'm on a mission to get rid of the word cupcake, I HATE IT. Re the icing thing, I always prefer buttercream as a filler layer in cakes rather than as icing. It's not so difficult to make but it's not a very precise art - I always just play around with quantities till it tastes right. You could always try a very simple icing done with icing sugar and lemon juice? Not nearly so faffy to make up! YOU ARE AMAZING! LOVE YOUR STYLE!! FOLLOW YOU NOW! !